We also repair corrupt photos, docs, databases, etc. << if your data files are corrupt call us to see if we have experience with that specific application or filetype. Many “fake” data recovery centers exist that will give you great prices and free evaluation. Most of these companies that advertise heavily online lack the equipment and training to properly recover your hard drive or other digital media — in fact they will hurt the chances of anyone ever being able to do so. They lack the equipment and training to properly do the job and have no clue nor the equipment to do physical recoveries. 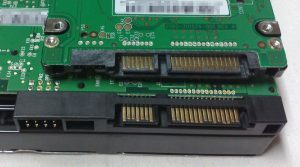 We are the only area data recovery company with both Deepspar AND PC3000 (over 100k of training and equip) to raise the chances for a perfect data recovery project.